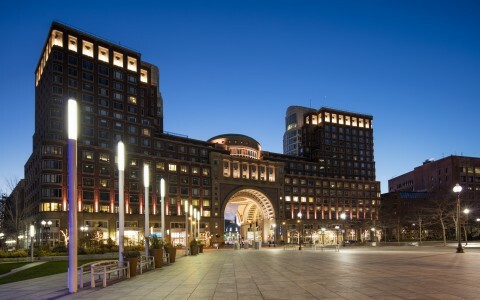 Lumentalk saved the day and solved the problem of providing zonal dimming control without having to run control wiring through the stone and brick of the heritage structure. The next challenge was to solve the problem of providing zonal dimming control without having to run control wiring through the stone and brick heritage structure. The solution was Lumentalk. 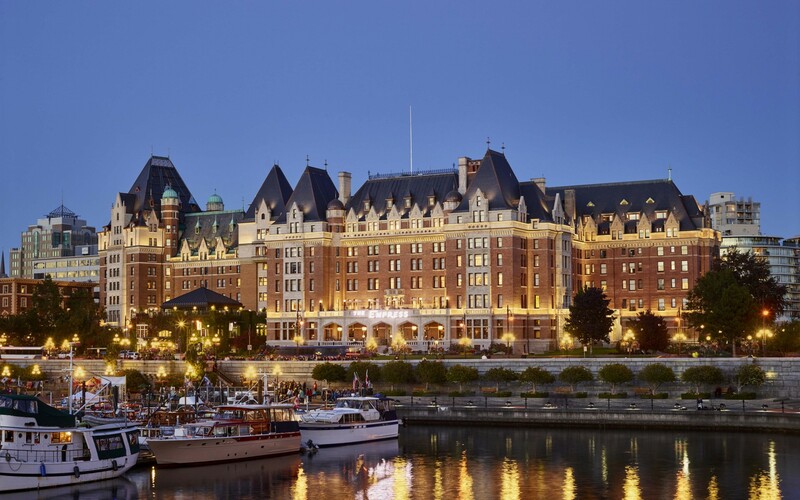 The Fairmont Empress Hotel is the fairytale-like centerpiece of Victoria, British Columbia's inner harbor that is synonymous with the city itself. 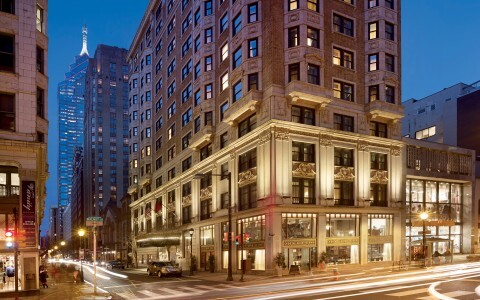 The century old hotel has been the essence of countless photographs and receives the foot-traffic of nearly a thousand tourists each day. 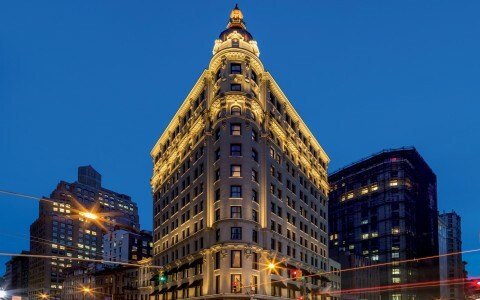 The most recent restoration of the hotel's exterior demanded a graceful façade illumination that would complement the hotel's own iconic majesty. 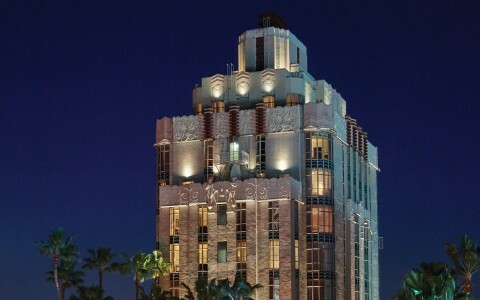 Previously, a combination of ground-mounted, ceramic metal halide floodlights, color-changing metal halide lights, and LED projectors were used to light the façade. 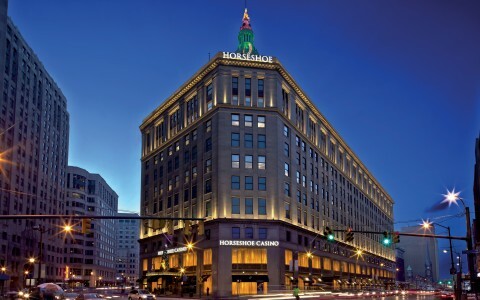 These bulky and intrusive luminaires were replaced with low-profile Lumenfacade Horizontal luminaire, equipped with narrow-beam optics, accompanied by Lumenfacade Inground fixtures, which were placed in the terrace, to graze the rich texture of the hotel's exterior. 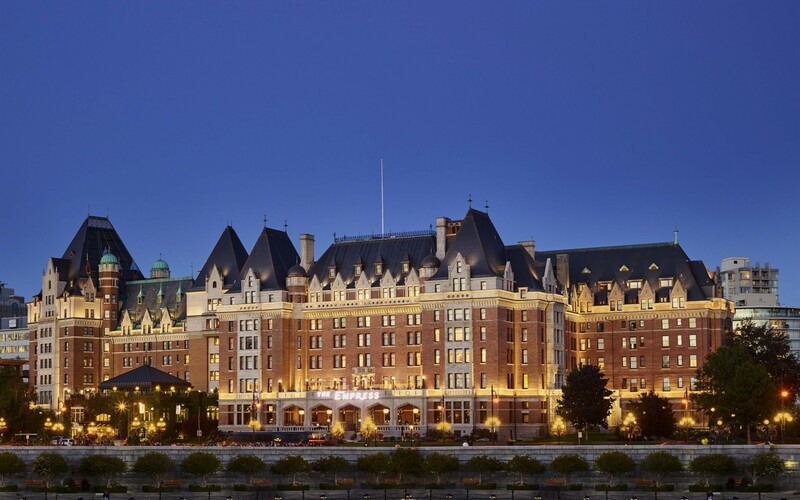 Lumenbeam Small and Mediums bring out the detailed architectural accents as well as showcase the roof spires. The low-profile Lumenpulse luminaire units are unseen but their brilliance is elegantly present, which perpetuates the other-worldly magic of the structure itself. "The next challenge was to solve the problem of providing zonal dimming control without having to run control wiring through the stone and brick heritage structure. 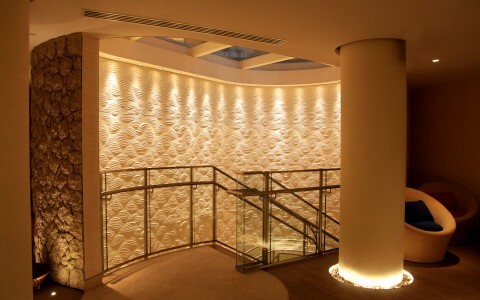 The solution was Lumentalk," said Bryan Lortie, Principal for CDm2 LIGHTWORKS. Thanks to Lumentalk, the act of replacing the old luminaires was unobtrusive and didn't damage the structure. Lumentalk is Lumenpulse's patented technology that turns existing electrical wiring into a communications link for data, enabling LED fixtures to be reliably controlled. 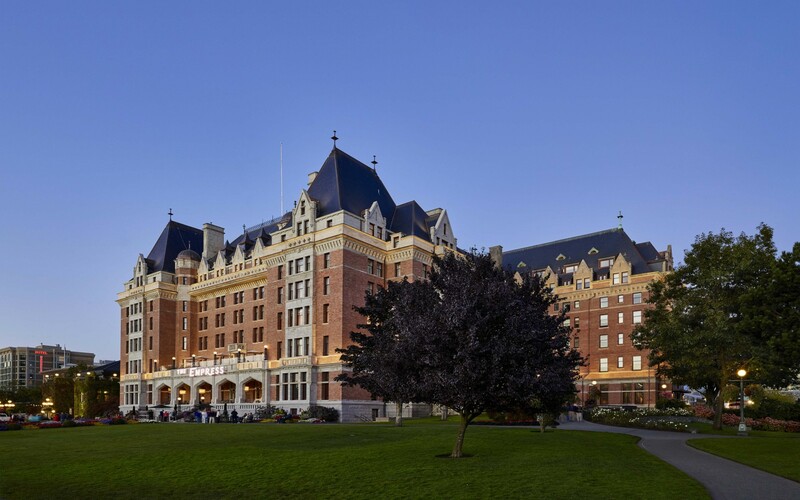 The Lumenfacade and Lumenbeam luminaires meet ASHREA 90.1 energy codes and easily complied with the Dark Sky ordinance that the City of Victoria has in place out of respect for the Royal Astronomical Society of Canada's nearby observatory. The Lumenpulse luminaires, through the optics of their beams, also lessened the amount of light pollution that had previously entered the guest suites. 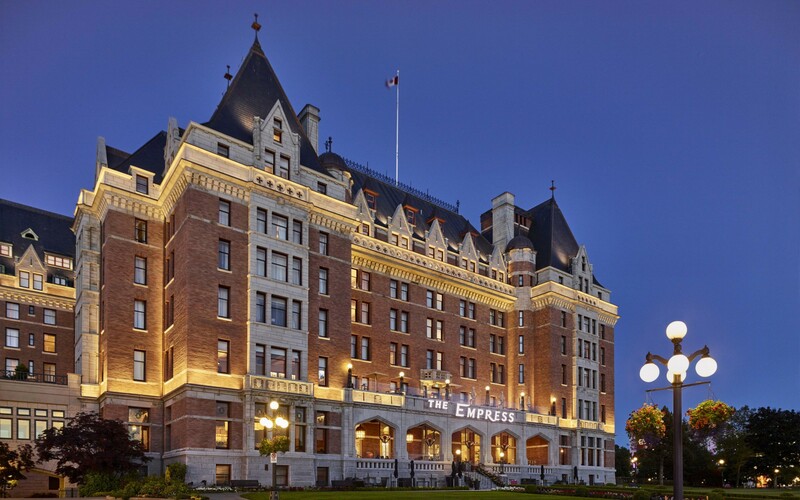 The Empress now reclaims its iconic place as part of the nighttime ambience of Victoria's inner harbor. 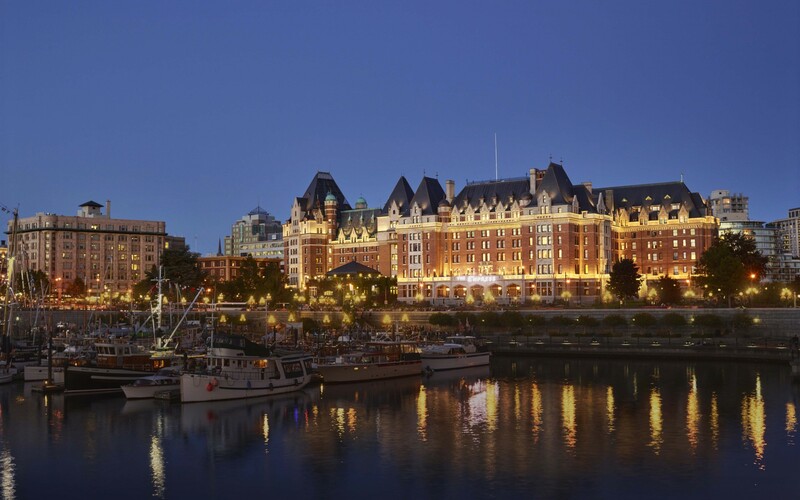 The Lumenpulse luminaires reveal the heritage architecture of the restored exterior through a respectful and cohesive approach to both the original heritage building and the more recent additions around it. The Empress may have needed some new clothes, but her lighting made all the difference.